Since 2005 we’ve been operating 5 studios at this location for Yoga, Dance, Pilates, Meditation and Fitness. Classes start 7:30am (we have a Mysore Yoga daily program) and ends 11pm. Open also on Friday and Saturday. 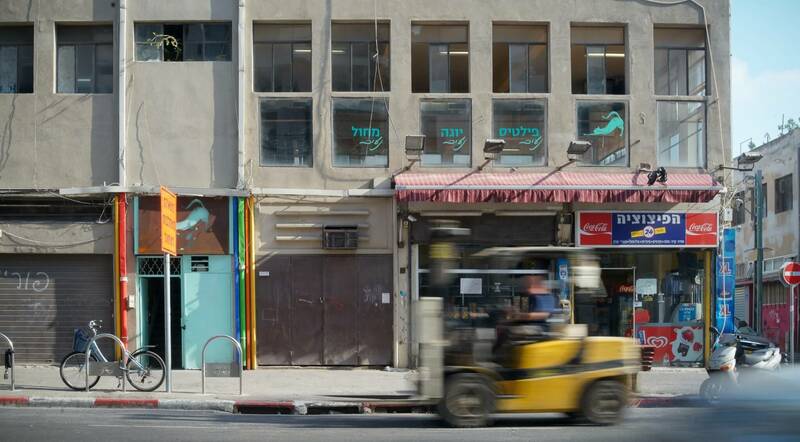 Located in the center of Florentin (Tel Aviv downtown neighborhood), 15min walk from Central Bus Station or from Yafo Flea Market. We have two more studios, one is across the street (for fitness and Pilates Reformer classes) and one on Rothschild / Hertzel 10min walk (for Yoga and mat Pilates). On our backyard we have a GYM NAIM opened since 2014.